As with any marketing strategy, it’s best to begin your direct mail campaign by defining your goals. In a general sense, you’re likely looking to increase business or generate leads. But it’s important to be specific when targeting the message of your direct mail piece. Do you want to increase traffic to your physical storefront? Are you looking to drive recipients to a landing page on your website? Or, are you working to encourage event attendance? Say you send out a direct mail campaign advertising your company as a service provider. Soon after, you start to see an uptick in business. This is the result you want, right? But it may be impossible to tell what effect your mail campaign had on growth of business or if the piece accomplished what you wanted it to. And, if you don’t know how successful or unsuccessful your direct mail campaign was, it’s impossible to plan or improve your strategy in the future. Once you know what you want to achieve, the following indicators can be used to calculate the results of your mail campaign. This refers to the percentage of recipients who responded to your mail piece. Simply divide number of responses by number of mail pieces sent to get the response rate. This is the next level up from Response Rate. More people are likely to respond to the mailer than those who eventually convert to customers (or donors.) Depending on what you’re selling, the conversion rate may be low, or it may take a longer period of time to achieve a conversion from your mailing. Conversion rate is calculated by dividing the number of actual orders you receive by the number of responses you got. CPA refers to the amount it cost you to obtain each new customer. Divide your campaign cost by the number of orders you received to determine CPA. 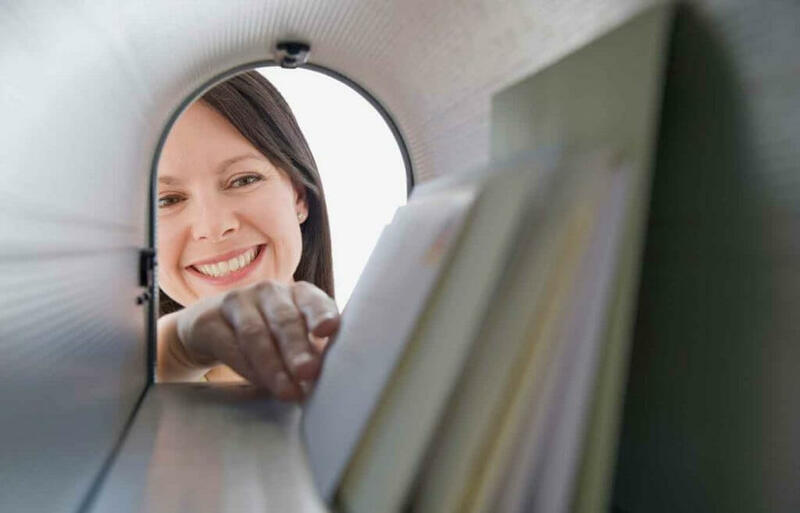 You may find it helpful to compare the CPA for your direct mail campaign with that of your other marketing endeavors, as it will allow you to understand which channel achieves the most business for your market. ROI is the baseline for your campaign—how financially successful was this mailing? ROI is calculated by subtracting the cost of your campaign from the revenue generated and then dividing by the campaign cost. As you get deeper into the measurement process, there are several other metrics you may want to measure. Now that you know what you’re measuring and how you’ll use your data, let’s look at 6 ways you can implement tracking into a mail piece. Everyone loves to feel that they’re getting a good deal. 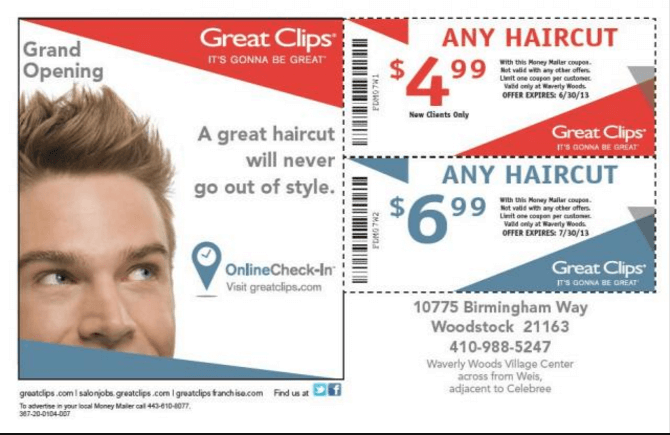 Depending on the nature of your business, a coupon offer can entice prospects who may not otherwise have visited you. I can think of several occasions when food coupons I received in the mail led me to a restaurant, sometimes one I was familiar with and often somewhere completely new. Your mailing could be a single coupon, or it could include several offers, allowing you to see which resonates most with your mail list. If your business has several locations, it may be helpful to include a coupon code so that each location can process the coupons the same way, and you’ll accurately collect data for that mailing. Codes also make online purchases and purchases through apps easier to implement and track for coupons. Like coupons, where the recipient could bring the physical coupon in to your business, you could require recipients to bring in the mailer itself to receive the offer. For instance, you may be offering a free consultation. The recipient can only receive that free consultation when they bring the postcard along on their visit. That way, you’ll know exactly who responded to the campaign, since they’ll be handing over the addressed piece. If you want to drive traffic to your website, you can create a landing page and URL specific to the mail campaign on your company’s site. Then, print that URL prominently on your direct mail piece. Visitors will come to the page directly from the mailing, so you can accurately track how effective the mail piece was at achieving your goal. Personalized URLs (PURLs) are another option to explore. PURLs are customized to each recipient on your mail list. For example, for a contractor, a PURL could look like this: www.contractors.com/jane-doe. The content Jane would see if she goes to her PURL would be customized to her, with her name and offers specific to her needs and interests. You can use a QR code in the same way as a URL. 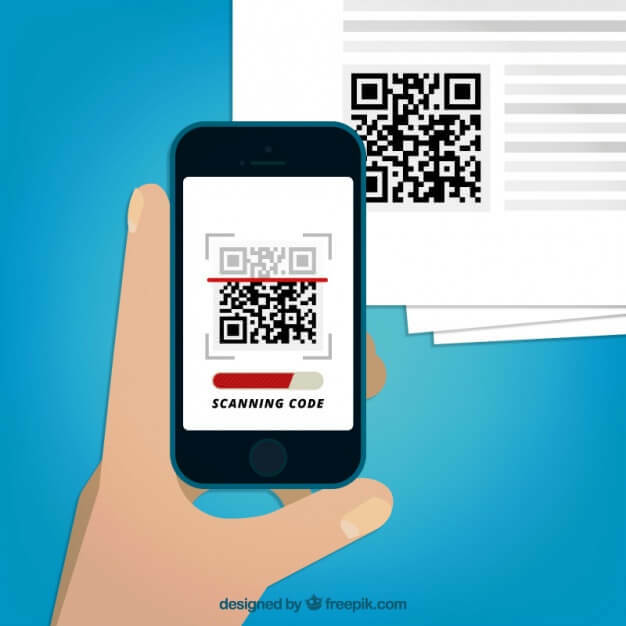 Print a QR code on your mailer that, when scanned, brings recipients to a landing page customized to the mailing. When you track how many people visited that landing page, you’ll know how many people responded to your mailing. It’s also possible to create a custom phone number for your mailing campaign, if you’d prefer recipients call in to talk to someone at your business regarding the mailing offer. You can make it a point to track when a call comes in regarding the mailer. However, you’re likely receiving several calls throughout the day regarding all aspects of your business. To make it easier, you can set up a number separate from your regular business number that will forward to a separate line. Then, you’ll know any calls coming through that line are specific to your mailing campaign. 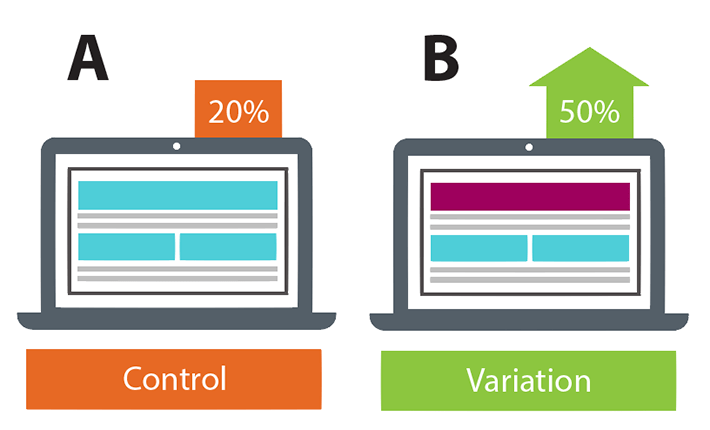 If you’re looking to track what resonates with your recipients, an A/B split can be helpful. Design your mail piece, then create a second version that differs by just one element, such as the headline, image, or language in the call to action. Split your mailing list in half, mailing version A to the first half and version B to the rest. You’ll need a way to track responses to determine which version that respondent received. This strategy can give you a sense of what language, offers, message, etc. connects with your audience, allowing you to plan and execute better targeted campaigns. 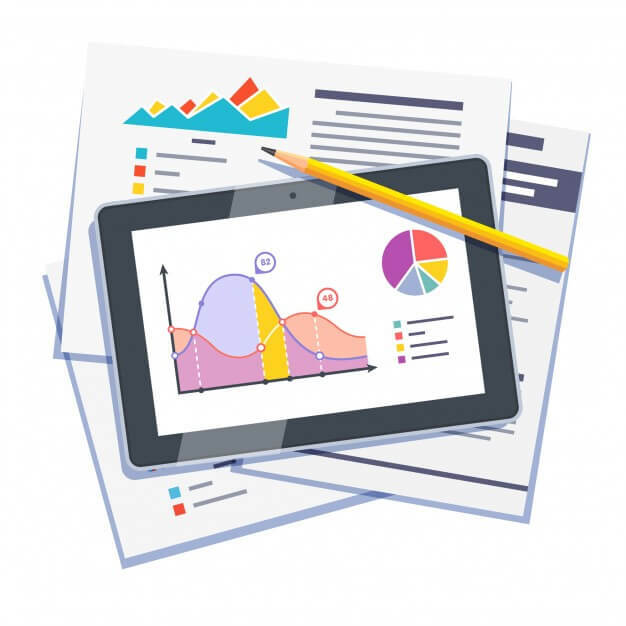 Tracking and measuring data from marketing campaigns provides you with invaluable information about your marketing strategy, your prospect list, and your prospect’s response to your product/service offerings. Sometimes an offer you thought would be a home run falls flat, while a mailer you weren’t expecting to stand out receives an overwhelming response. Any relevant and legitimate data that you collect from measuring will help you to better reach your audience with more personalized, compelling offers in the future. Ready to step up your direct mail campaigns? From list work and design to printing and mail fulfillment, think Paw Print. Give us a call at 802-865-2872…we make it easy!